It is the line that marks the theoretical halfway point between the equator and the South Pole. 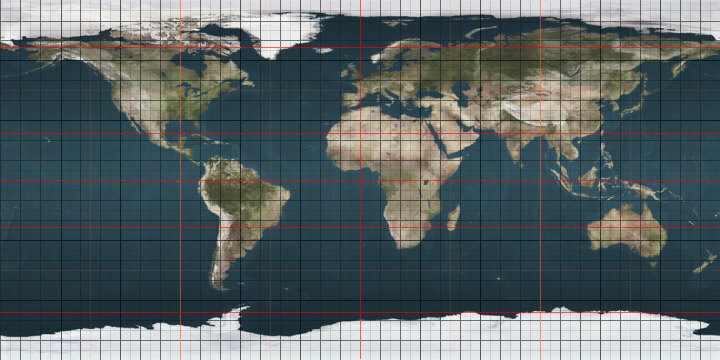 The true halfway point is 16.2 km (10.1 mi) south of this parallel because Earth is not a perfect sphere, but bulges at the equator and is flattened at the poles. Unlike its northern counterpart, almost all (97%) of it passes through open ocean. It crosses the South Atlantic Ocean, the Indian Ocean, Australasia (New Zealand and just south of Tasmania), the Southern Ocean, and Patagonia. Islands in the Chonos Archipelago including James Island and Melchor Island, and the mainland intersecting Route 7 at Campo Grande roughly 100 km (60 miles) north of Coyhaique.